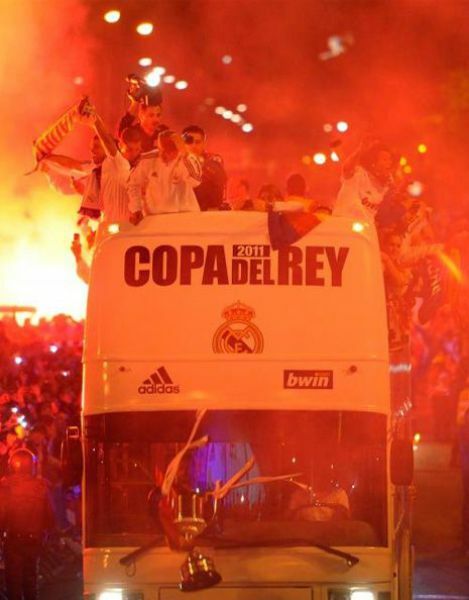 The winner of the Spanish Cup final Real Madrid celebrated its victory along with thousands of soccer fans in Madrid. Real Madrid beat Barcelona 1-0. 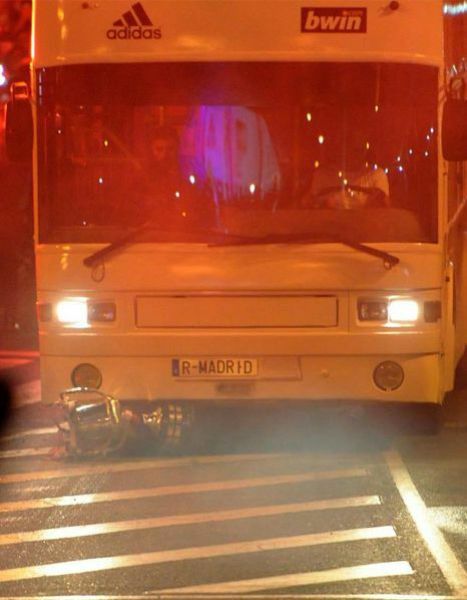 But the Spanish Cup didn’t survive the victory parade as defender Sergio Ramos managed to drop it from the team’s double-decker bus which ran over the trophy. 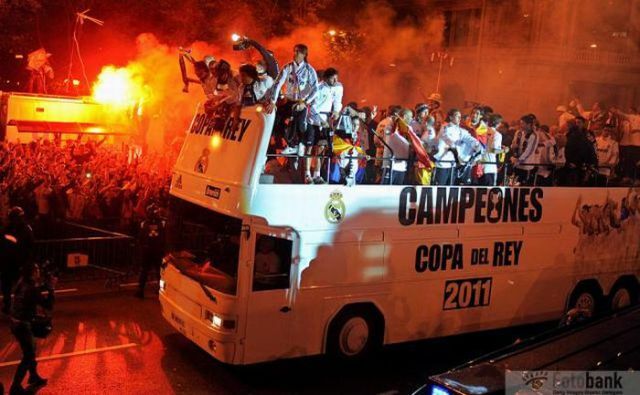 champions if it can call real madrid champion without champion cup. They should not get it fixed..
Keep it like this untill next year!